18 September 2017 Thousands of new jobs and boosted local economies are the direct results of ESA’s investment in young companies through its business incubators, which have now fostered more than 500 start-ups that adapt space technology and satellite services for use on Earth. From healthcare to manufacturing, sport to agriculture, the effort is an important driver for entrepreneurship and the creation of new businesses, as well as positioning Europe at the forefront of innovation. 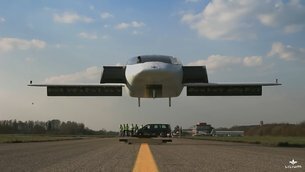 A personal ‘flying car’ in the form of an electric jet taking off and landing vertically from our own backyards is being developed by entrepreneurs at the Bavarian incubator, completing its maiden test flight in April. 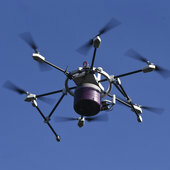 A Portuguese start-up has developed a last-mile delivery service by drone, highlighting its versatility by delivering a hot meal to an elderly isolated inhabitant as well as flying parcels over Lisbon’s rush-hour traffic. “We set up Business Incubation Centres to help young entrepreneurs and start-ups create innovative services by the use of satellite services and space technology,” notes Jan Woerner, ESA Director General. In the UK, women can now receive the results of their breast cancer screening in just 24 hours, instead of the typical two weeks, thanks to a new approach from a UK start-up. A German company has developed a treatment for bacterial infection in wounds by applying ‘cold plasma’ stemming from experiments on the International Space Station. A French start-up offers improved direct communication with the ground for aircraft pilots, and wifi for passengers’ laptops, tablets and smartphones. “We started our incubator initiative in 2003 as part of our Technology Transfer Programme to facilitate innovative entrepreneurship and to create new European companies by spinning off our investments in space programmes,” says Franco Ongaro, ESA Director of Technology, Engineering and Quality. ESA’s incubation network supports 140 start-ups every year at its 16 centres in 13 countries, with two more in Estonia and Finland to open later this year. Several more are under preparation. “Space technologies and their spin-offs are creating new companies with high-tech jobs, strengthening the European economy and our worldwide competitiveness,” stresses Jan Woerner. Further information in ESA press release here. For more information visit ESA Technology Transfer Programme and ESA Business Incubation Centres.